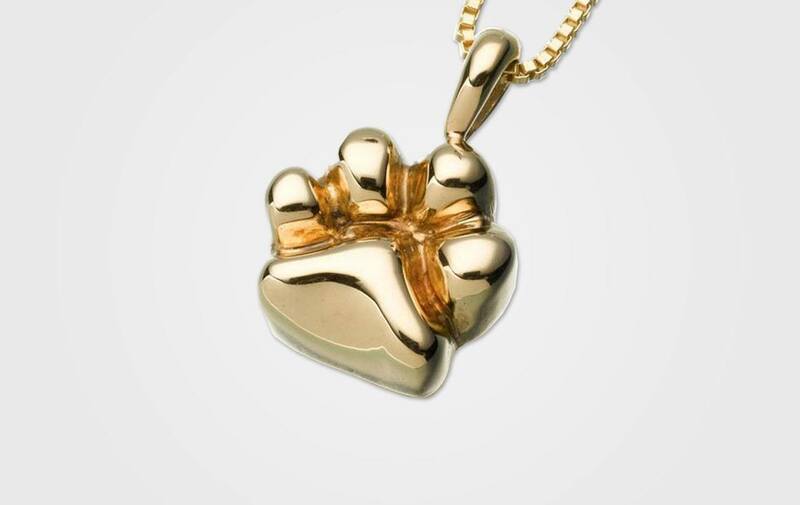 Our Paw Pendant is a beautiful way to keep your pet close to your heart. A small amount of ash can be added to this urn/pendant. A small funnel, filling and care instructions are included. This necklace can be engraved, but can accommodate no more than three characters. There is an additional cost of $27 for engraving.